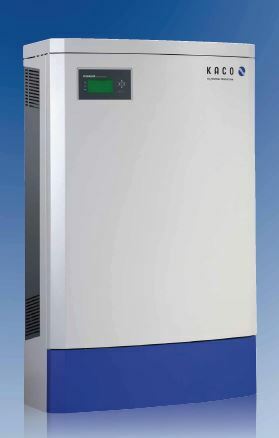 The transformerless three-phase invertersPowador 30.0 TL3 to 60.0 TL3 aredesigned specifi cally for decentralisedinstallation of photovoltaic systems forcommercial and industrial applications,such as hangars and factory roofs.These units give you extreme flexibilityin designing your PV system. They operateusing three separate MPP trackersthat can handle both symmetrical andasymmetrical loads to allow for optimumadjustment. Each tracker is able to process20 kW. This enables them to meetall the typical demands of more complexdesigns involved with inhomogenous installationof the photovoltaic generator.Three MPP trackers can also compensatefor mismatches between modules, suchas those resulting from temperature differencesand uneven solar radiation. Dependingon the design of the units, onestring (variant M) or four strings (variantXL) can be connected per MPP tracker.Each of the three MPP trackers of thePowador 60.0 TL3 XL can even be connectedto five strings.The input voltage range is particularlybroad: the inverters switch to the gridfrom 250 V, and, when in operation, theystill feed in at 200 V to ensure the solaryield from comparatively small areas. Thepeak efficiency is 98 %. The Europeanefficiency of 97.8 % is also worth notingand is due to the fact that the unit hasa very high partial load effi ciency in thelower power ranges. At just 5 % ratedpower they operate at 95 % effi ciency.It is easy to achieve perfect communicationwith these units. They are fi ttedwith an integrated data logger withweb server, a graphical display for showingoperating data and a USB port forinstalling updates. The currentsoftware can be downloaded freeof charge from the download area ofwww.kaconewenergy.com/en/service.The yield data can be called from theweb server or via USB for evaluation.The integrated data logger can also beconnected directly to the Powador webinternet portal for professional evaluationand visualisation of the inverter data.A number of country-specifi c default settingsare programmed into the inverters.These are easy to select during on-site installation.The interface language can beselected separately. The inverters supportthe functions of the Powador-protect forgrid and plant protection.The integrated string collector with stringfuses and overvoltage protection for theXL variant of the units opens up significant cost advantages. The M variants usethe external Powador Mini-Argus stringcollector instead.